Getting dream job or meeting with a desired company is the biggest challenge faced by the students today. 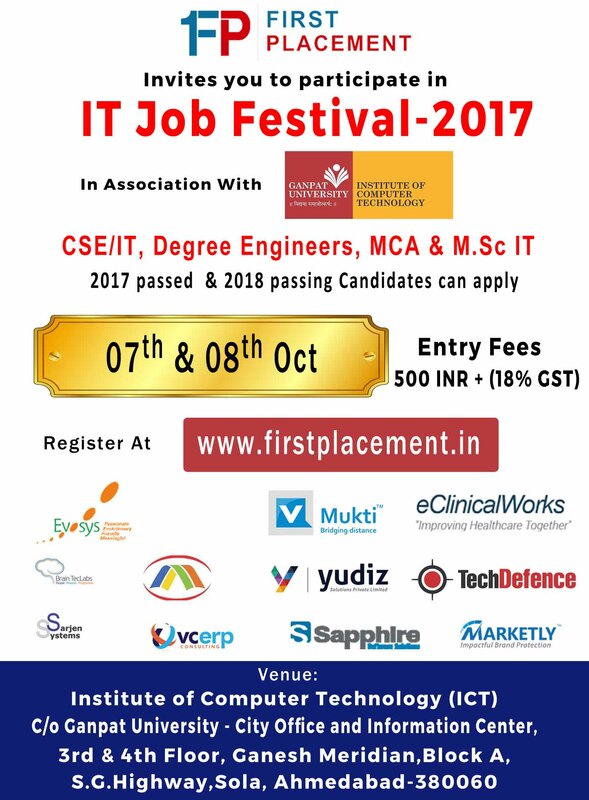 To resolve such challenges the solution is right here in one of IT Job Festival “My First Placement” planned on 7th & 8th of October 2017 organized by ‘First Placement’. This event would be one of the first of its kind in Gujarat where IT companies seeking to employ talent meets the desired candidates under one roof. First Placements is involved in Training and Placement of fresh Graduate talents as well as experienced ones focused in all the sectors. Enter your Email Or Mobile Number and subscribe to our newsletter. Copyright © 2011-2017 First Placement. All rights reserved.